Great location in a well established neighborhood in downtown LaBelle! 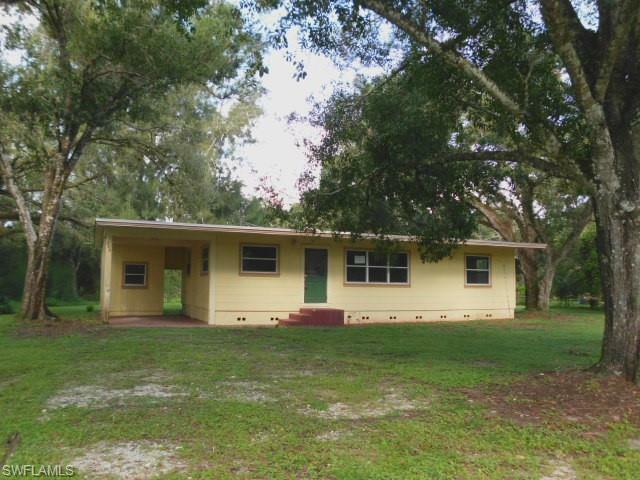 Situated on a great half acre lot adorned with those beautiful LaBelle Oaks... This three bedroom one bath home offers a covered carport, newer shingle roof, updated windows, galley kitchen and enclosed laundry area. Adorned with the original hardwood tongue and groove walls, laminate flooring, central a/c, attached carport, storage area, central water and a large oak filled backyard. All this and just minutes to shopping, dining, schools and recreation. Make your appointment today!